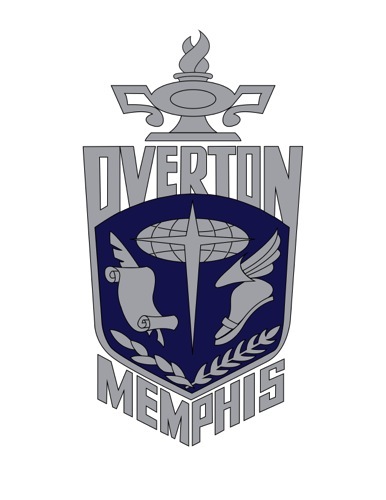 A student designed logo for Overton High School. 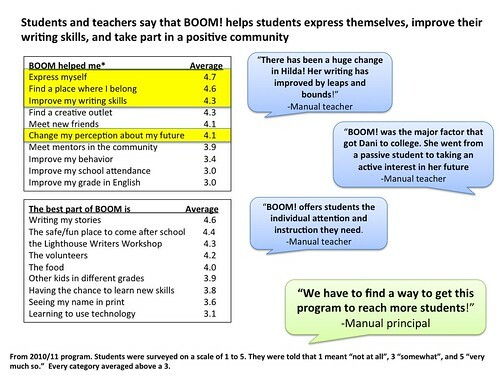 Where can students spend time after school honing career skills and building a portfolio? Miami-Dade County (Fla.) Public Schools’ career-oriented program Digital Art Afterschool Studio offers students exactly that. Last year, one of the biggest themes in the projects we funded was real world relevance. Students are often bored with classes that they can’t see themselves using in the real world. Tactile skill based courses such as Art and Music have limited career prospects when compared to STEM courses. The Digital Art After School Studio is a prime example of how to synthesize real world skills and arts education in a way that profits both the school and the students. Over the past three years they have turned from a tiny operation that struggled to find funding to a nearly self-sufficient model that will continue for years to come. 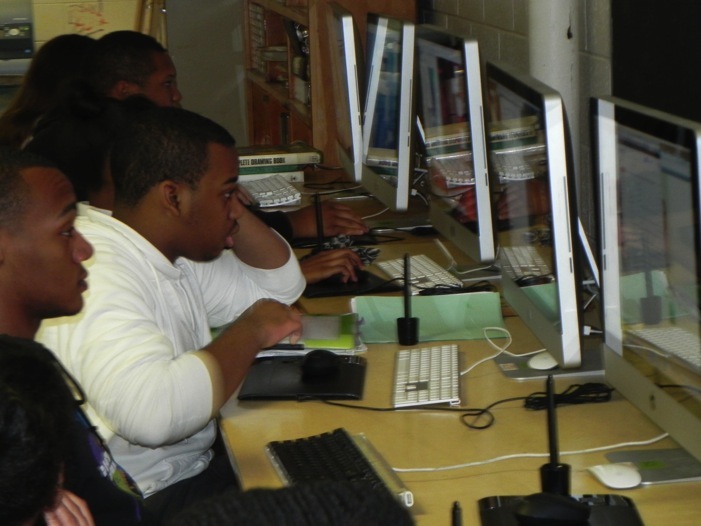 Students spend time after school honing their skills and building a portfolio. To recap, what is the Digital Art After School Studio? 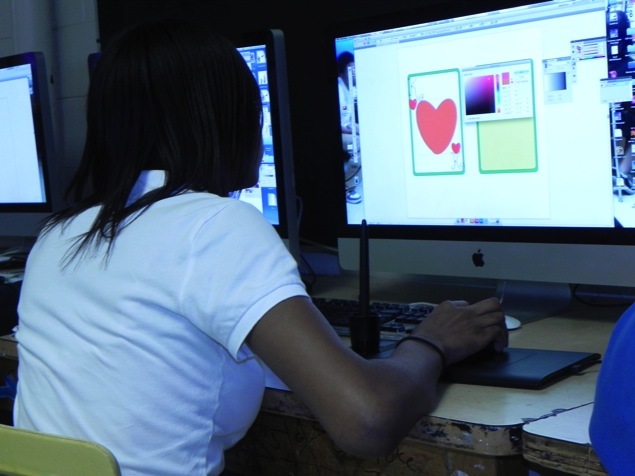 The Digital Art After School Studio program was created with the idea of giving students with an interest in graphic design a place to learn the procedures and expectations of actual client-based projects. The initial goals were to give students exposure to a workplace environment and ideally an increased level of workplace etiquette and knowledge of practices. The other, more long-term goal for the program was to get students more in touch with the community in order to build a client base that will continue to support the program long after the grant funding ends. 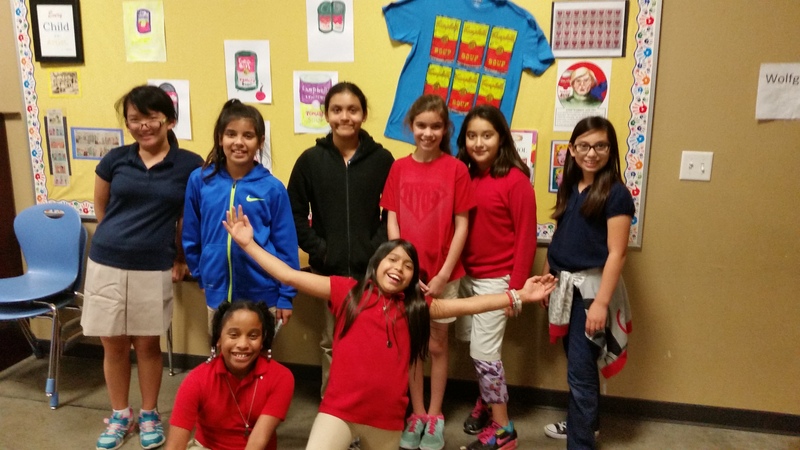 Students quickly learn that self motivation is the key to success in this program. What they get out of it is a direct result of how much they put in it. First and foremost, the most unexpected and fantastic occurrence has been the increased student involvement and ownership of the program. Word of mouth has gotten so strong that they no longer need to recruit to replace graduating members. They have students lining up to put their name on the list. 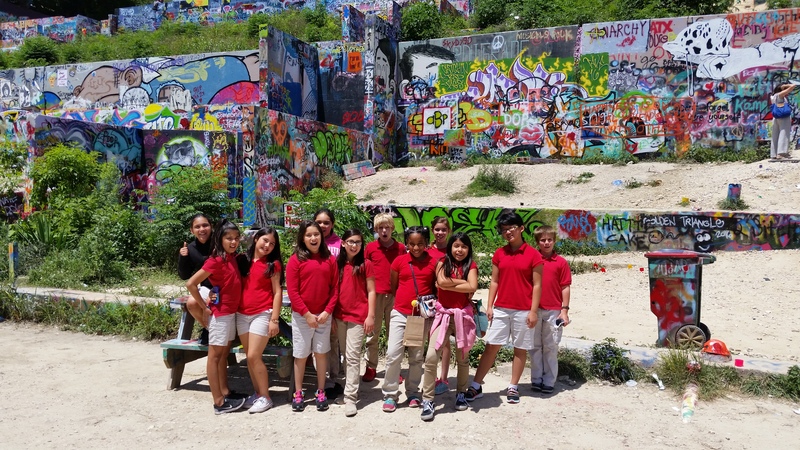 The students this past year even took their ownership of the program so far as to elect to rebrand it the “Painttank,” a think tank for artists. During the past year they’ve had numerous visitations from other schools that are interested in emulating their model. 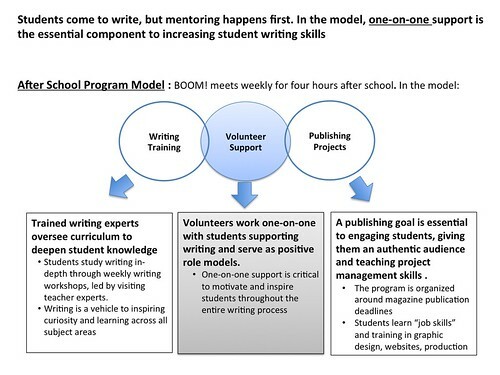 They see students voluntarily giving up their afternoon freedom to work on their own projects and wonder how they can reproduce this in their own schools. The answer is simple. 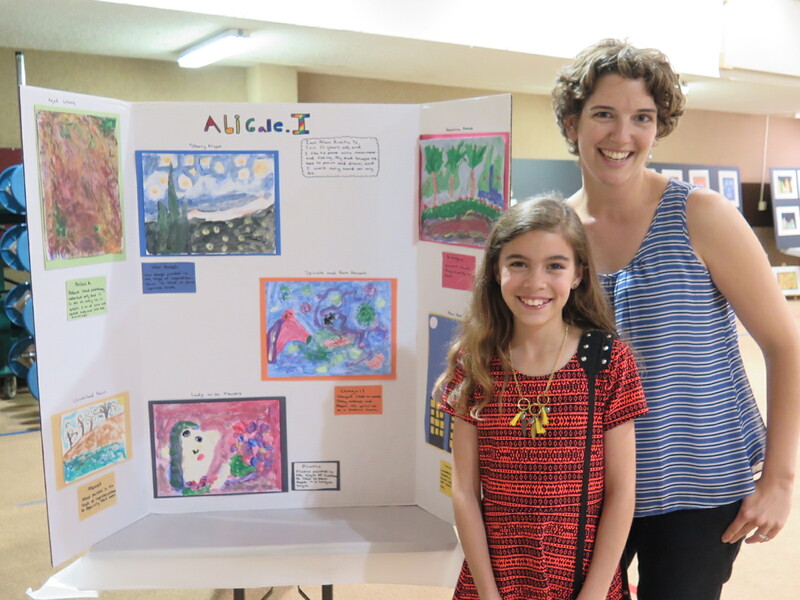 By cultivating an atmosphere of independence and freedom to explore their individual styles, the students become personally invested in their own work and growth as artists. Not only that, it’s completely student driven in the hours after school, acting autonomously and driving its own progress forward. 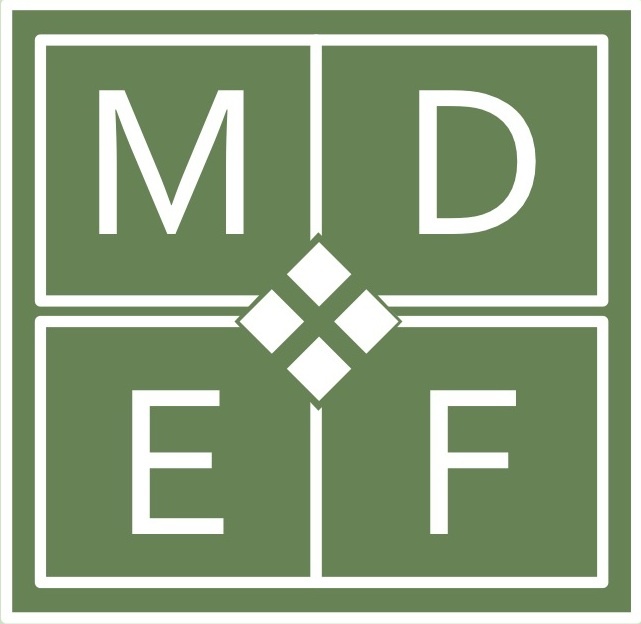 One of the biggest victories the school has achieved is the founding of the Overton Foundation, a non-profit entity that allows for donations to be made without getting caught up in the bureaucracy of the school district. In previous years, it was difficult to distribute funds from those wanting to pay for the studio’s services. They’re not at a loss for members in this after school program. The Overton Foundation is key to the future self-sustainability of this project. In terms of improvement, the program is always on the hunt for new clients. Most of the initial client base came from sources directly related to the student and school, but now with multiple accolades under their belts and a sizable portfolio, the Studio is looking to expand further into the community. 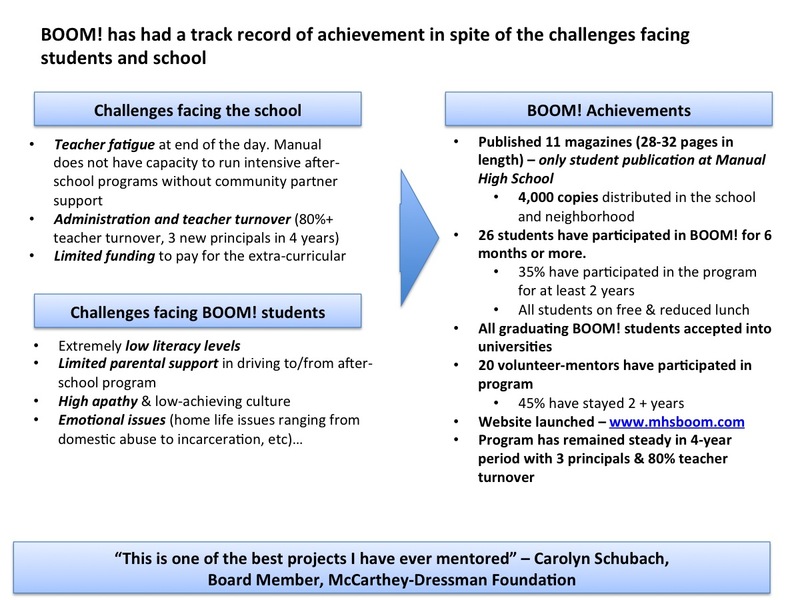 With the hurdles of creating the Overton Foundation and the initial cost of computers and software suites out of the way, it’s really up to the students and their mentors to guide this program into the future. And it’s looking like a bright one. This entry was posted in After School Programs, Technology and tagged afterschool programs, career oriented curriculum, co-op, Digital Art After School Studio, Graphic design, miami-dade county public schools, Overton Foundation, student graphics company, students.